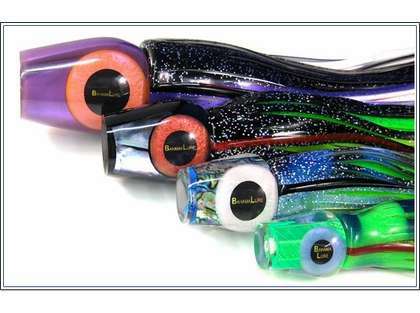 Bahama Lures are field tested to provide an amazing replica of the live creature. The head, eyes and skirt are all hand crafted to the smallest detail giving: marlin, wahoo, tuna and dorado the impression that they're preying on live bait when they, themselves are the ones being sought out. 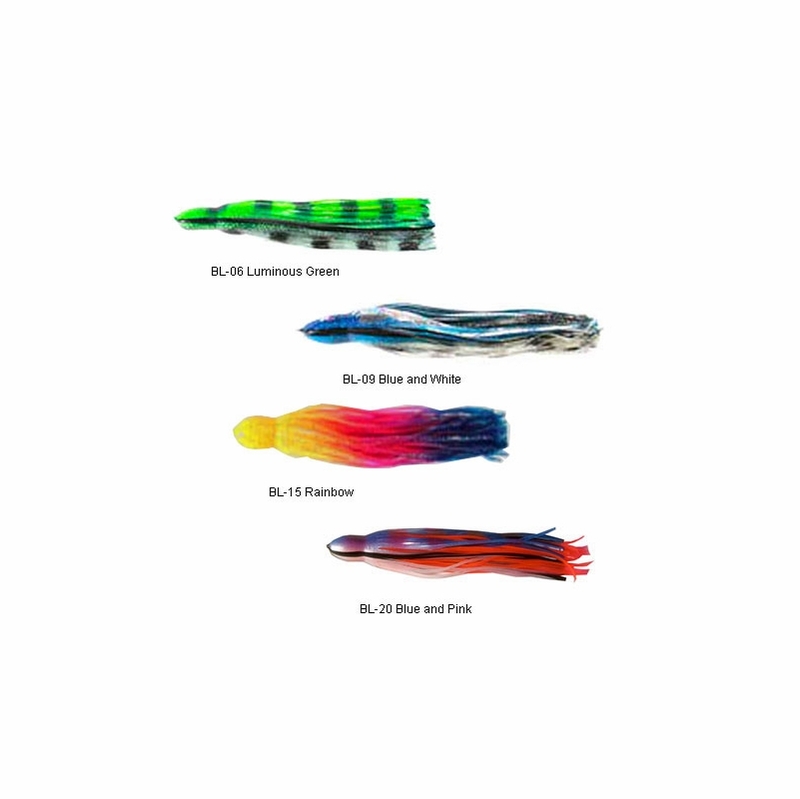 The array of colors and various shapes ensure that whatever species the angler is seeking will be reeled in with ease using these lures. Make sure you prepare with Bahama so the only concern will be how many fish you reel in! even seen striped bass jump on one of these before. 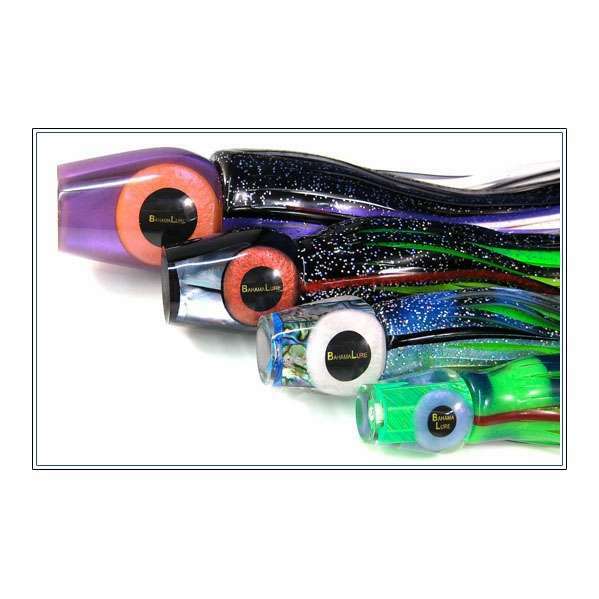 Prosgood looking lures. Love the logo of the company printed in the eyes...give it a special touch to the brand.